This article is about the number. For the year, see AD 3. For other uses, see 3 (disambiguation). 3 (three; /ˈθriː/) is a number, numeral, and glyph. It is the natural number following 2 and preceding 4. A common variant of the digit 3 has a flat top, similar to the character Ʒ (ezh). This form is sometimes used to prevent people from fraudulently changing a 3 into an 8. It is usually found on UPC-A barcodes and standard 52-card decks. the first odd prime number, and the second smallest prime. the only number that is both a Fermat prime and a Mersenne prime. the first unique prime due to the properties of its reciprocal. the second triangular number and it is the only prime triangular number. both the zeroth and third Perrin numbers in the Perrin sequence. the fourth open meandric number. the aliquot sum of 4.
the only prime which is one less than a perfect square. Any other number which is n2 − 1 for some integer n is not prime, since it is (n − 1)(n + 1). This is true for 3 as well (with n = 2), but in this case the smaller factor is 1. If n is greater than 2, both n − 1 and n + 1 are greater than 1 so their product is not prime. Three of the five regular polyhedra have triangular faces – the tetrahedron, the octahedron, and the icosahedron. Also, three of the five regular polyhedra have vertices where three faces meet – the tetrahedron, the hexahedron (cube), and the dodecahedron. Furthermore, only three different types of polygons comprise the faces of the five regular polyhedra – the triangle, the quadrilateral, and the pentagon. Only three tetrahedral numbers are also perfect squares. Three was the first number, according to the Pythagoreans, and the first male number. 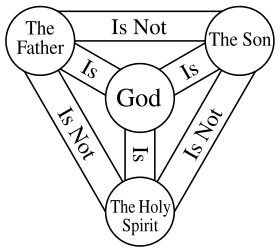 Three was the first number, according to Proclus, i.e. n2 is greater than 2n. Gauss proved that for any prime number p (with the sole exception of 3) the product of its primitive roots is ≡ 1 (mod p). Any number not in the form of 4n(8m + 7) is the sum of 3 squares. Each real number belongs to only 1 of the following 3 categories: positive, negative, and zero. There is some evidence to suggest that early man may have used counting systems which consisted of "One, Two, Three" and thereafter "Many" to describe counting limits. Early peoples had a word to describe the quantities of one, two, and three but any quantity beyond was simply denoted as "Many". This is most likely based on the prevalence of this phenomena among people in such disparate regions as the deep Amazon and Borneo jungles, where western civilization's explorers have historical records of their first encounters with these indigenous people. The Saros number of the solar eclipse series which began on April 24, 2814 BC and ended on June 1, 1534 BC. The duration of Saros series 3 was 1280.14 years, and it contained 72 solar eclipses. The Saros number of the lunar eclipse series which began on December 30, 2567 BC and ended on March 21, 1214 BC. The duration of Saros series 3 was 1352.26 years, and it contained 76 lunar eclipses. Three is the symbolic representation for Mu (lost continent), Augustus Le Plongeon's and James Churchward's lost continent. Philosophers such as Aquinas, Kant, Hegel, and C. S. Peirce have made threefold divisions, or trichotomies, which have been important in their work. The ministry of Jesus lasted approximately three years (27-30 AD). Jesus rose from the dead on the third day after his death (Sunday April 9, 30 AD). The Magi - Zoroaster priests astronomers/astrologers from Persia - gave Jesus three gifts. The three Gunas underlie action, in the Vedic system of knowledge. 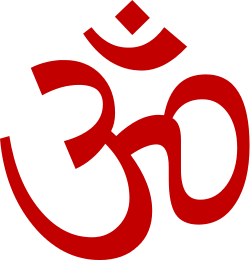 The Three Yogas in the context of monotheistic Hinduism are three religious paths for the human spirit to achieve union (yoga) with Ishvara, Supreme Being, i.e. God. They are Karma Yoga, Bhakti Yoga and Jnana Yoga. In East and Southeast Asia, there is a widespread superstition that considers it inauspicious to take a photo with three people in it; it is professed that the person in the middle will die first. In association football in almost all leagues, and in the group phases of most international competitions, three competition points are awarded for a win. In Gaelic football, hurling and camogie, a "goal", with a scoring value of three, is awarded when the attacking team legally sends the ball into the opponent's goal. In baseball, three is the number of strikes before the batter is out and the number of outs per side per inning; in scorekeeping, "3" denotes the first baseman. A shot made from behind the three-point arc is worth three points (except in the 3x3 variant, in which it is worth two points). A potential "three-point play" exists when a player is fouled while successfully completing a two-point field goal, thus being awarded one additional free throw attempt. On offense, the "three-second rule" states that an offensive player cannot remain in the opponent's free-throw lane for more than three seconds while his team is in possession of the ball and the clock is running. In the NBA only, the defensive three-second violation, also known as "illegal defense", states that a defensive player cannot remain in his own free-throw lane for more than three seconds unless he is actively guarding an offensive player. In gridiron football, a field goal is a scoring play in which a kicker kicks the football from behind the line of scrimmage through the goalposts on the opponent's side of the field. This play, if successful, is worth three points. A hat trick in sports is associated with succeeding at anything three times in three consecutive attempts, as well as when any player in ice hockey or soccer scores three goals in one game (whether or not in succession). In cricket, if a bowler takes three wickets in a row it is called a hat trick. A pin (professional wrestling) in professional wrestling is when one's shoulders are held the opponent's shoulders against the mat for a count of three. In the NASCAR Sprint Cup Series, 3 is the number of a car owned by Richard Childress Racing. It was originally driven by team founder and owner Richard Childress, but became most famous as the car driven by seven-time Cup Series champion Dale Earnhardt, first in 1981 and then from 1984 until his death at the 2001 Daytona 500. Childress did not use the number again in the Cup Series until 2014; since then, his oldest grandson Austin Dillon has driven the #3 car. In Formula One, 3 is used by Australian driver, Daniel Ricciardo. In association football a team that wins three trophies in a season is said to have won a treble. ↑ "Sloane's A042978 : Stern primes". The On-Line Encyclopedia of Integer Sequences. OEIS Foundation. Retrieved 2016-06-01. ↑ "Sloane's A003173 : Heegner numbers". The On-Line Encyclopedia of Integer Sequences. OEIS Foundation. Retrieved 2016-06-01. ↑ "Sloane's A001608 : Perrin sequence". The On-Line Encyclopedia of Integer Sequences. OEIS Foundation. Retrieved 2016-06-01. ↑ Big Numbers. ISBN 1840464313. ↑ "Most stable shape- triange". Maths in the city. Retrieved February 23, 2015. ↑ Churchward, James (1931). "The Lost Continent of Mu - Symbols, Vignettes, Tableaux and Diagrams". Biblioteca Pleyades. Retrieved 2016-03-15. ↑ Marcus, Rabbi Yossi (2015). "Why are many things in Judaism done three times?". Ask Moses. Retrieved 16 March 2015. ↑ "Shabbat". Judaism 101. 2011. Retrieved 16 March 2015. ↑ Kitov, Eliyahu (2015). "The Three Matzot". Chabad.org. Retrieved 16 March 2015. ↑ Kaplan, Rabbi Aryeh (28 August 2004). "Judaism and Martyrdom". Aish.com. Retrieved 16 March 2015. ↑ "The Basics of the Upsherin: A Boy's First Haircut". Chabad.org. 2015. Retrieved 16 March 2015. ↑ "The Conversion Process". Center for Conversion to Judaism. Retrieved 16 March 2015. ↑ Kaplan, Aryeh. "The Soul". Aish. From The Handbook of Jewish Thought (Vol. 2, Maznaim Publishing. Reprinted with permission.) September 4, 2004. Retrieved February 24, 2015. ↑ See "bad" in the Oxford Dictionary of Phrase and Fable, 2006, via Encyclopedia.com.